If you want to have an organized life and getting the most into your day, the best action you can take is to use your day planner; it is the most effective tool that you have and it can help you become more organized and in control of your life, instead of just blindly following where your life is going. Taking control of your life is your choice, it is not something that you can force; it has to come from within as it isn’t an easy journey to take, it does take hard work, in the beginning, but it is worth the time and the effort when you see the results. Getting the most from your day planner takes time and commitment, it is not an easy option, but with practice, it is a great way to ensure that you are heading in the right direction, towards your goals and desires. The form on your day planner is a personal preference and it doesn’t mean one option is better than another, it is about making the system work for you and to meet your needs. The most important point that you must commit to is to use your day planner every day. How else will you know what you need to do or if any tasks that need completing? Your planner is your friend and you must look at it every single day. I don’t take my planner everywhere with me, but I do know what’s scheduled and what I need to do. I know what’s planned and the tasks that I need to complete, I even know if there is an appointment coming up; this is because I record everything in my diary. This is something that you have to commit to doing to ensure that you are seeing the full picture. In the beginning, it is difficult to keep up with a new system, you also have to find one that fits with your life. Whether this is an electronic planner or a paper-based system it doesn’t matter, but you have to make using the day planner a habit. This takes time, you must give the system the chance to fit into your life; a habit takes about 21 days to stick so you must give your system a chance. Know your limits, we all have the same amount of time in the day and knowing how much you can achieve, is one of the most important parts of how to use your day planner better. Putting too much into your day to complete will result in items needing moving to another day and this then snowballs into an uncontrollable to-do list within your day planner. You will have so much to do that inevitably you will get very little accomplished because you become overwhelmed; this will lead to procrastination and tasks just being moved with no real intention, whereas a day planner will work effectively if controlled. Try never to move a task more than once, this ensures that it doesn’t become bigger than the actual task itself. When you schedule big tasks, break these down into smaller manageable chunks and schedule these on different days until the task is complete. Never add a task to today’s schedule unless it is an emergency. Always schedule a new task into a day into the future when you have time to do the task requested. This shows the respect to the tasks you currently have planned and the opportunity to finish these tasks before starting the new task. 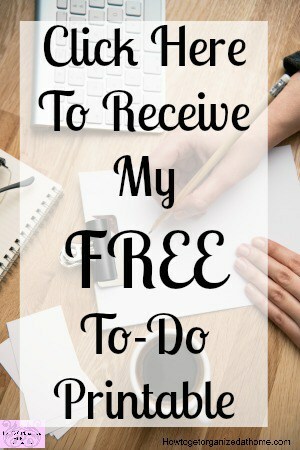 If you have tasks that you need to complete, are they sitting there and tormenting you? You must put time aside each day to spend time going through these tasks to completion and eventually crossing them off one at a time. Try not to move these tasks forward, you are in effect putting a strain on the tasks that you need to do and those that will come up soon. So, by tackling these separately takes the pressure off you in the present, it gives you time to do the things you must do and time to get to those tasks you kept putting off. Use weekly and monthly schedules so you can prepare your time appropriately for anything that you have planned, things won’t suddenly appear; you will have time to prepare for the event, no matter the situation. By having a weekly planner it allows you to see the bigger picture, if there is a meeting to plan for or a birthday coming up, by knowing these in advance before turning over the page, will allow for even better planning. If you are looking for more information on creating a planner check out this article on the topic. I recommend using the one planner, some people are comfortable with more than one day-planner, but for me I would think I was forgetting something important, so, by combining all tasks and dates into the one place, I’m assured that I am not forgetting something important. 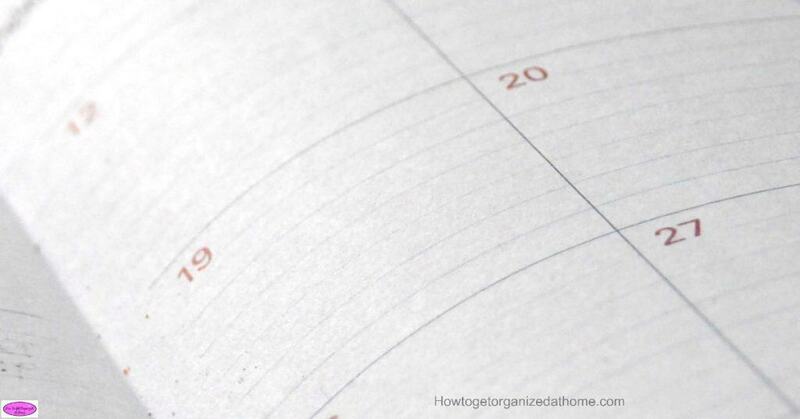 I even have all my husband and children’s dates in my day planner, this ensures that I know what they are doing at any given time, it also means that I am not double booking myself or them on any activity. How you use your day planner is a personal experience, however, it is important to remember that it has to make your life easier and not more complicated. If a system becomes too complicated, it is more likely to fail and this will put you into chaos. The most important aspect of your day planner is how you organize it; you must not let it become a jumbled mess with too much information and too many tasks to complete each day. The idea of using a day planner is to take control of your day, making sure that you are completing the tasks and getting to events on time. You should use your day planner to focus your life, to complete the things that you need to do to reach your goals and your dreams. Therefore, if you are looking for ways to use your day planner better, then you must use your planner, it takes work and commitment to make a planner work for you, but it is the best tool to keep your life in control and moving forward towards your dreams. What’s your best tip for using a day planner?